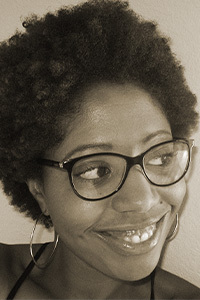 Erica Dawson is the author of two collections of poetry, The Small Blades Hurt (Measure Press, 2014) and Big-Eyed Afraid (Waywiser Press, 2007). Her work has appeared in The Best American Poetry, Harvard Review, Virginia Quarterly Review, and other journals and anthologies. She is an associate professor of English and writing at the University of Tampa, and serves as the director of its low-residency MFA program.